Constant Contact - Ideal Extensions for Joomla! Choose a category for your Form Field, then Save the changes in order to load the Constant Contact Form Fields Specific parameters. You may also want to set the status to "Unpublished" so it doesn't immediately take effect on a live site. And then once the remaining steps below are complete, set the status back to "Published". You now need to create an API Key and Token via Mashery by visiting https://constantcontact.mashery.com/member/my-account. If you have an account created already, enter your credentials and click "Sign In". 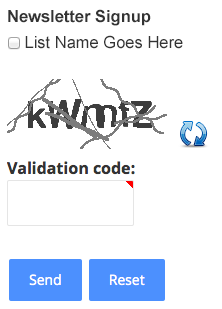 Otherwise click on the "Register a Mashery ID" button to proceed. 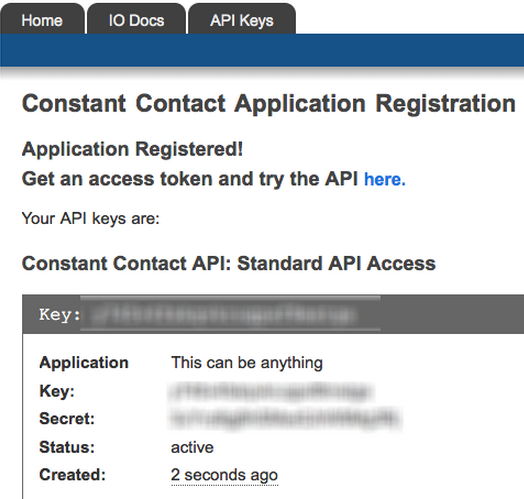 Once your account is verified and you are logged in, click on the "API Keys" tab at the very top. Then click on "Applications" and select the "Create a New Application" button. 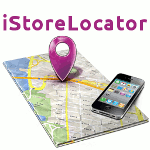 Now go through the steps and fill out all the required information and click on "Register Application". 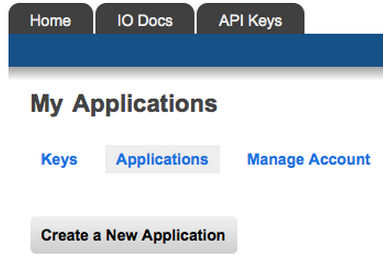 Now that you Application is registered, you now have created an API Key. Make sure to save this for later. 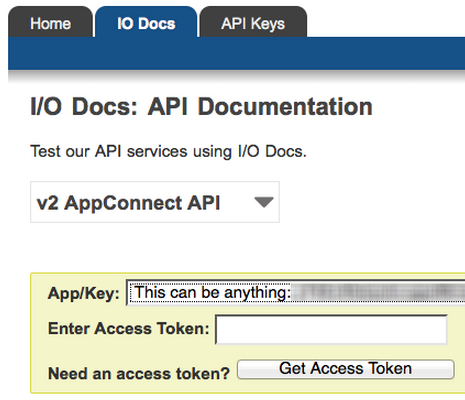 Now click on the "IO Docs" tab and select your App/Key and click on the "Get Access Token" button. You will then be required to log into your Constant Contact account. Click on the "I already have an account" link. Next you need to grant access to your Constant Contact account by clicking on the "Grant Access" button. You have now created an access token. Save this for later as you'll need it for the last step. Go back to your newly created Constant Contact CF within your Joomla! installation and expand the "Constant Contact Parameters" tab. 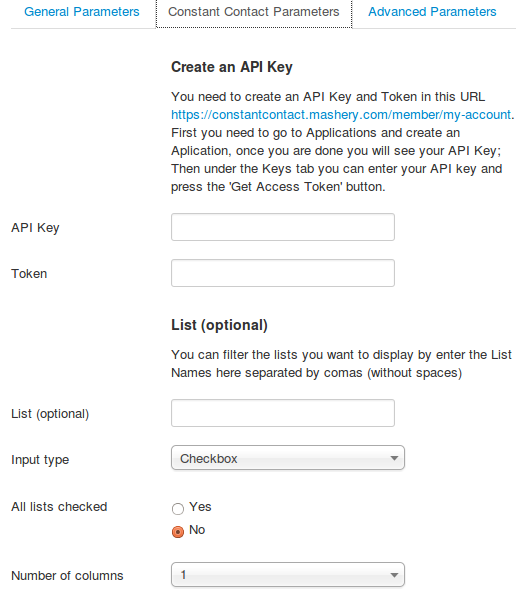 Now enter your API Key and Token collected previously into the appropriate input fields. You also have the option of targeting the list you want to submit to as well as input type (checkbox or radio box) and if all lists are populated or not upon submission. Once you have finished this step, change the status of this CF to "Published" and hit Save. 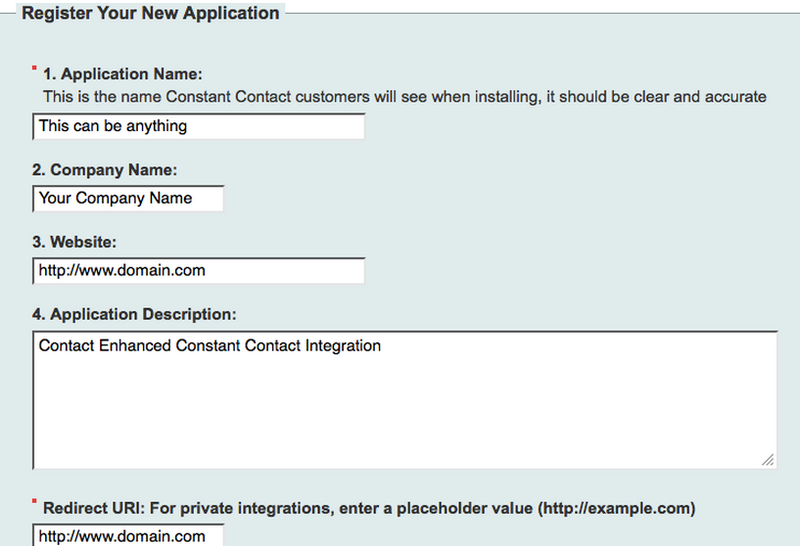 This image is an example of how the Constant Contact Form Field is displayed within your form on a page. The list names and checkboxes displayed here will be relative to your Constant Contact account and the parameters you selected within the CF.